When you are working in 90 Day Sprints, you will be so much more likely to achieve your goals. It is a short enough period of time that you can see the end date and be motivated by the outcome but long enough to see serious results. A key for balanced living is to set goals in all 8 categories of your life. 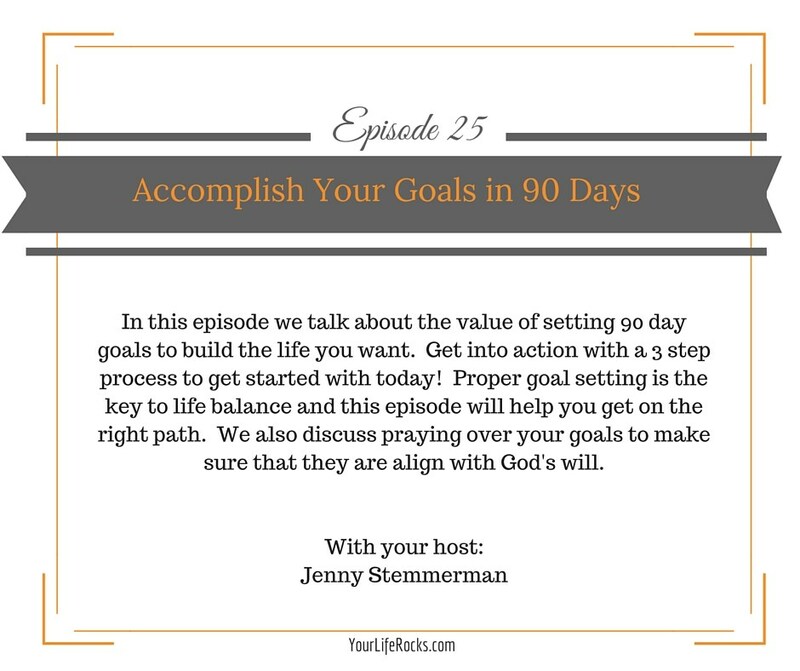 In this episode we share three steps to making the most of this process. Create a vision and put a date on it! Look at the calendar…90 days out. Think about all 8 parts of your life and create a vision and goal for each one. List out all action items that need to be done to reach your goal. Finding the right tool to keep your action list is key. Here are three suggestions. Use Trello….my favorite organizer of tasks! Click here for a link to their website. Do 1 thing a day from your list in each category. Ready to take back balance in your life? Join our Free 7 Day Challenge!